One doesn’t really need a silver spoon to eat good food but finding and reaching out to the tasty ones has always been a challenge. “TasteOfCity” takes this challenge as a starting point to probe relevant and necessary questions about locating the most popular and tasty food items from all across the country. As there is not just one “BEST” way to eat, there is also not just one “BEST” taste of a delicacy. It becomes even more arduous to locate the best tastes in a country like India which has probably the most vast and varied culture as compared to any other country across the globe. Hence, we at TOC took this mammoth task of creating an interactive platform that serves food lovers by guiding them towards the unique flavors offered in different cities of India. 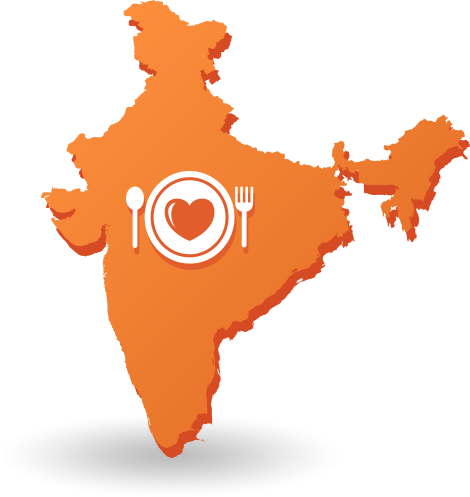 Unlike other websites featuring only the famous restaurants and hotels, TOC kept its prime focus on uniqueness of taste, and strives to bring together the most popular tastes from all corners of the cities even including the last-mile culinary delights from the Indian street food. While we shall continue to enhance and expand the plethora of food information, we look forward to your feedback on the tastes displayed on TOC. Be a part of our ongoing endeavor of discovering more and more specialties and feel free to add any unique taste from your city that you find missing. Let’s share and help others who too are in pursuit of flavorsome food. To keep exploring & enjoying your eating- expedition, you just have to install the “TasteOfCity” App - that’s so handy to grab the best to eat.